Are You Sure Your Veterinarian is Licensed? You’ve seen the stories on the news about the doctor that everyone loved that turned out not to be a doctor at all. Our little ones are innocent and depend on us to make the decisions about their very lives. We owe it to them to do our due diligence when it comes to choosing the very best veterinary care for them. 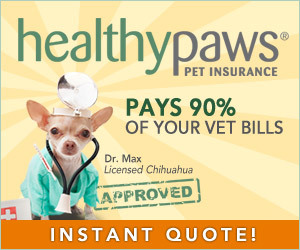 The least we can do is confirm that our vet is properly licensed. Below is a map of the United States. Simply click on your state to find a licensed vet or confirm your vet’s licensing status. Most states make it easy to confirm a vet’s license quickly and right online. However, some states don’t make the information that easy to find. In those cases, we have linked to their licensing board. You’ll have to make a phone call in those few states to confirm status. We are consistently confirming that the links are current but if you find a broken link before we can catch it, please contact us so we can update it. We are also working on similar resources in other countries. Those maps will be added to this page once confirmed and available. 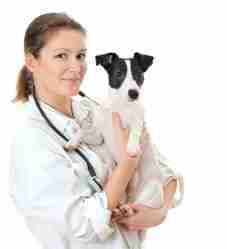 Finally, realize that confirming a current license is just part of the process that one should go through in choosing the best veterinarian. Take the time to check referrals, do a tour of the veterinary facility and the like to choose the best medical professional for your furry child.